That building has been for sale forever, iirc. I don't know what the upper floors are like, but imo it would be awesome if it could actually function as a hotel again. mean wrote: That building has been for sale forever, iirc. I don't know what the upper floors are like, but imo it would be awesome if it could actually function as a hotel again. i think the upper floors are one giant, high-end condo? it would be cool if it could be a hotel, but i'm also ok with it remaining as-is and the midwest hotel across the street becoming a boutique hotel or apartment building or something. the potential there is amazing. Oh, yeah, if they're already being used then that's fine. My hotel desire was based on the assumption that the upper floors were vacant or otherwise underused. Agree that the Midwest is a better target. I wonder if a parking lot comes with the building. No mention of it on the ad. FangKC wrote: I wonder if a parking lot comes with the building. No mention of it on the ad. It's included. The lot size mentioned in the ad matches the size of the parcel that includes the building and parking lot according to Jackson County's map service. So what is that neighborhood like for the housing prices to be in that range? We are thinking of purchasing a home in Westheight in KCK and are wondering how comparable the neighborhoods are. Havenhurst, in the link above, is a trophy house. The interior is in good condition, and has many fine details you just can't find in newer homes for the same price. I think $280,000 is a real steal for that house, because if you compared it to a house for the same price in the suburbs, none would be has fancy on the inside. One could probably get it for $265,000. It looks like the white parts of the house need to be painted--especially in the back. I would have a good house inspector look at the front portico--especially up at roofline to see what condition it's in. The floor look like they might need to be redone as well, so one could use all these deficiences to get the price down. Gladstone Boulevard is lined with old mansions that were built around the turn of the century when the area was home to affluent citizens that mostly worked downtown--which is about 5 minutes away. It's an older neighborhood that Westheight. The neighborhood is called Scarritt-Renaissance, and they have a good neighborhood association. Most of the houses are in pretty good shape, or have been renovated. The neighborhoods are similar in the respect that they have big fancy houses that are surrounded by urban neighborhoods of mixed smaller houses and apartments. Westheight has some winding streets with old streetlamps. Gladstone adheres to a rectangular street grid. There are probably more "trophy" houses along Gladstone that have have fantastic interiors with a lot of detail--since they were built by very affluent people. Gladstone is a pretty long boulevard that goes north from Independence Avenue, and then turns and heads east around Benton Circle. As you pass the Kansas City Museum at Corinthian Hall, there are big houses that have been in some families for generations. Then Gladstone turns north again for a short distance, before it heads east again along the bluff. The neighborhood changes here and you start to see more of a mix of small bungalows and ranch houses. I would recommend you take a drive along Gladstone Boulevard and Benton and get a feel for the neighborhood. There are some nice old homes along Benton north of Independence Avenue. I wouldn't hestitate for a second to buy that house if I could afford it, but I have a higher tolerance for urban neighborhoods than some people. Compared to Westheight, and in general, the property taxes for a similarly assessed houses would be cheaper in KCMO. KCK has a reputation for higher property taxes. The other thing is that overall taxes in Kansas tend to be higher than in Missouri--even with KCMO's e-tax. When I was looking for houses in KCMO, I looked at some in the same price range in KCK, and I found that the property taxes were higher there than in KCMO. You can get some pretty good deals on house in the Old Northeast. Of course, it depend on where you work when you are deciding which neighborhood will be more convenient. If you work downtown, the Northeast is really close and convenient. If you want to look at houses in the Northeast, contact Eric Bellamaganya. He is probably the most knowledgable realtor in the Northeast. He is the listing agent for Havenhurst on Gladstone Blvd, so you'd have to find a buyer's agent to help you negotiate for any of his listings. 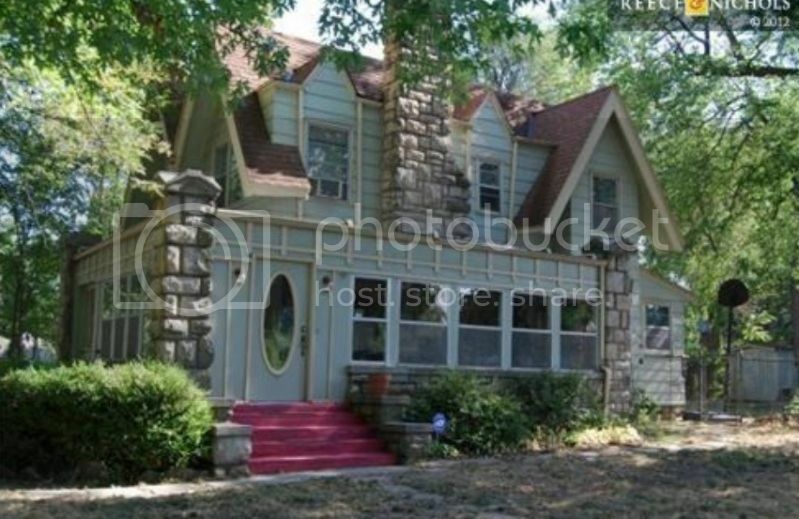 Nice 3-bedroom, 2-bath Tudor house with 2-car garage in good shape for a decent price on Gladstone Boulevard east of the KC Museum. Here are a couple of YouTube videos about the Old Northeast. Last edited by FangKC on Tue Jun 05, 2012 1:44 am, edited 1 time in total. Beautiful house on a huge lot. Make sure your speakers are turned off when you open the page - olde timey piano music autoplays. Updated stylish ranch house in great shape in Old Northeast on Sunrise Drive. Open House today from 1-3 pm. Its strange property prices are so high these days. I also heard that the property market will boom after this spring and i thing that will be the best time to buy or invest in a property. The house used in the Robert Altman films The Delinquents and The Cool and The Crazy, in the Old Northeast, is for sale for $89,000. 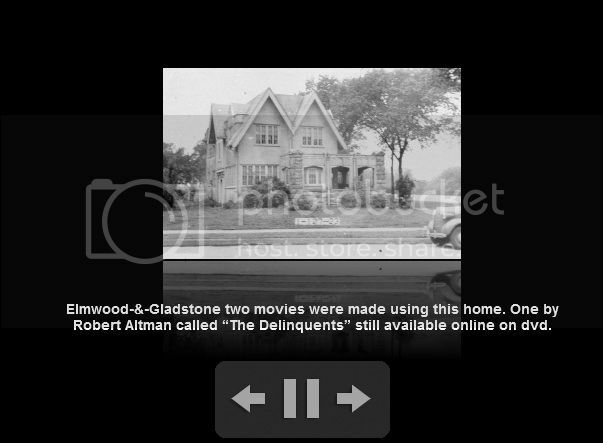 It's on the corner of Elmwood and Gladstone Boulevard near the entrance to Cliff Drive, and it's in the craftsman style. It has 4 bedrooms and 1.5 baths. One Of KC's Most Prolific Architects, John McKecknie, Designed this Incredible Eclectic House w/Western Stik Style Influences. Red Brick and Cut Stone, Tile Roof. It is Very Well Preserved w/Museum Quality Features including Oak and Cherry Woodwork, Original Leaded Glass, Pocket Doors and Unique Winding Staircase. All of this plus updated systems! The Charles Garney mansion in Briarcliff is for sale. Garney is the developer of Briarcliff Village and the Briarcliff West subdivision. Does anyone know if Garney is building a new house somewhere? Exquisite Versace Masterpiece in Briarcliff West! Phenomenal Estate Home w/ 5 bdrms/ 5 full & 4 half baths!The grounds & views are astounding during every season! Downtown view is magnificent! Meticulous Architectural detail which makes this Mansion a legend! Captivated at the beginning w/circle drive, all brick, slate roof, & private rose garden. Penthouse at 909 Walnut for sale. ^Perhaps owned by fired Chiefs coach or GM? Nope. Tax records say otherwise. Tax is only $505 a year!